There’s nothing worse than taking your dog on a fun-filled, wilderness adventure, only to realize (after the fact) that your soggy, soiled and smelly pup will ruin your car seats. It only takes one incident like this to convince you that you must invest in a dog car seat cover! 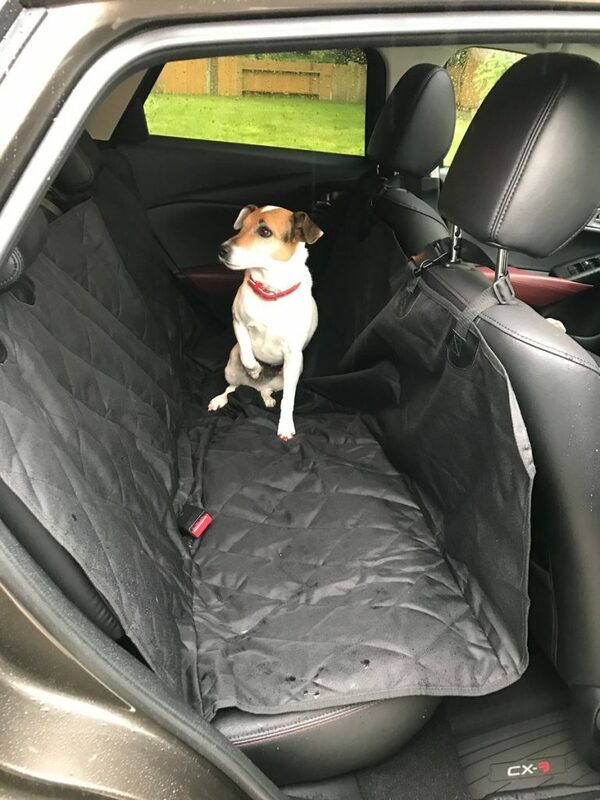 Read our reviews of the best car seat covers for dogs so you can save your car and your sanity. Some dogs will claw, chew and rip through anything they can, including cheaply made dog car seat covers. That’s why the most important features we considered in picking our best car seat covers for dogs were quality, durability and waterproofing. If you’ve ever had a cheap, flimsy cover that soaks your seats, you know what we mean! With that said, we did take pricing into consideration for our budget-conscious readers. It keeps dogs comfortably positioned in the car while minimizing the frequency of removing dog hairs from the seats and car surfaces. This product comes in two sizes and colors of black, gray and tan. The material used is rated 190 GSM 3 layer construction, which measures the density, quality and weight of the material. 100% waterproof is very important for this seat cover, you can’t imagine what happens when dog pee or kids throw up. 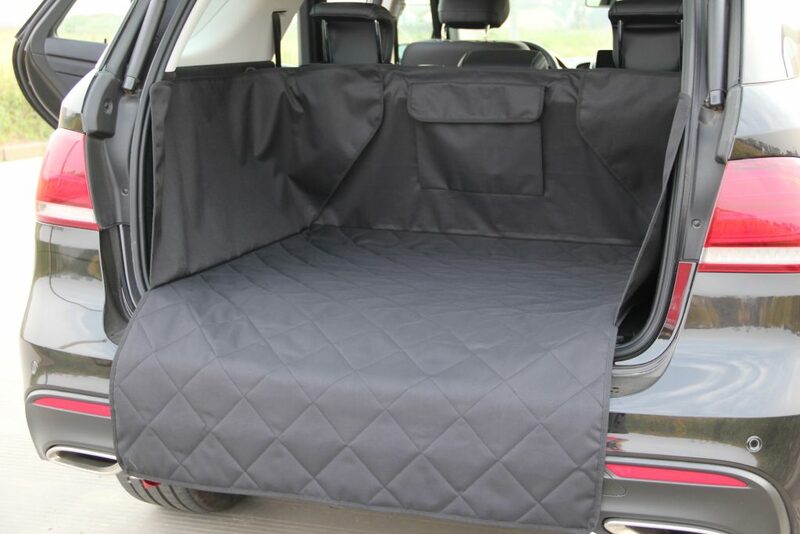 When you go out for road trip or Camping outside, you must get mess up when the dogs get wet or get all the mud or sand when you go back home to camp site, A well make dog suv cargo liner cover is badly needed at this time. you can keep your cargo area clean, only thing you need to do is clean the cargo covers, instead of clean your cars. If you need this click the pics below, you will find what you need a 4 Star rating Amazon choice products for you.